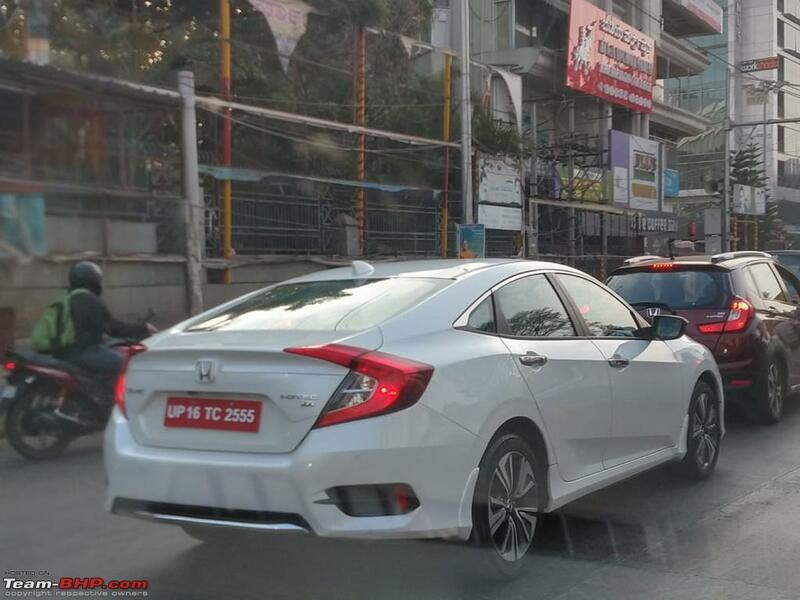 Honda Civic 2019, recently spied at the Mumbai airport, is expected to be launched in India in February 2019 as confirmed by the manufacturer. 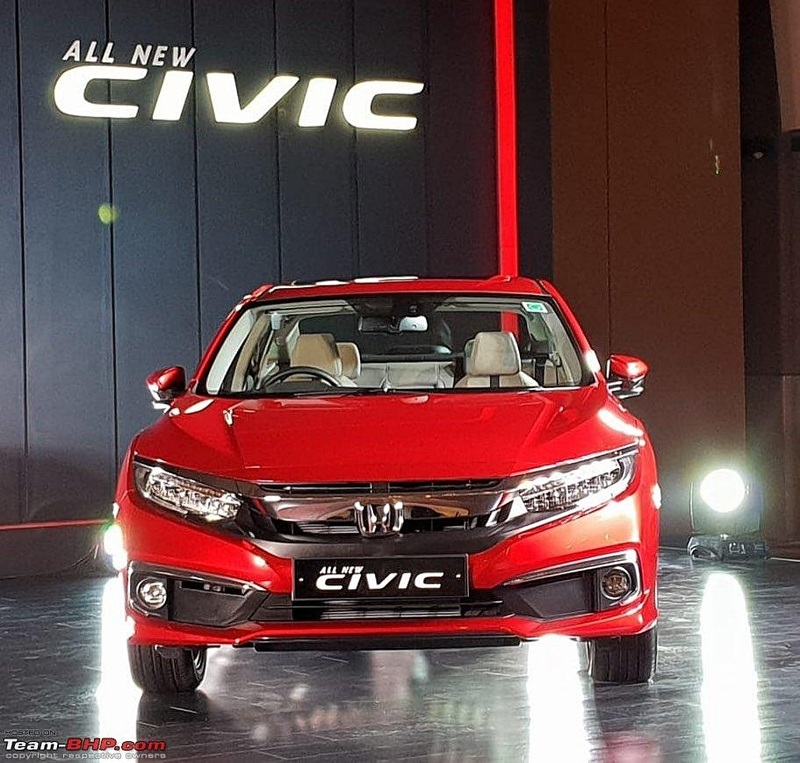 The much-awaited launch of the facelift model of Honda Civic 2019 will mark the return of the most anticipated model in the automobile industry of India after 7 years. 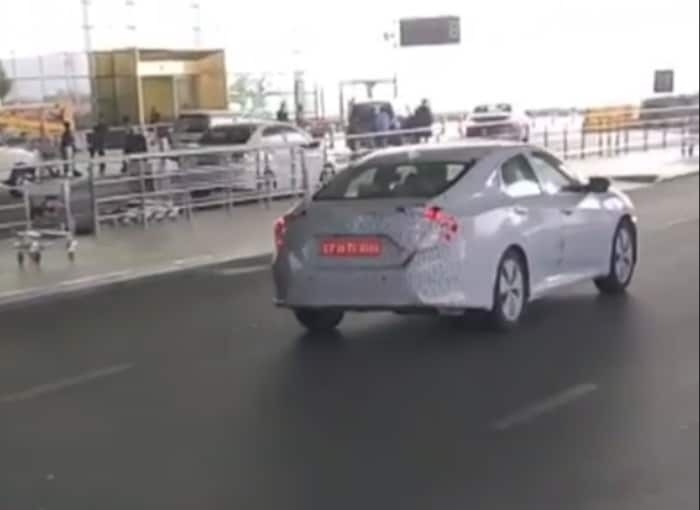 The popular sedan is reported to be undergoing a road test at the Mumbai airport. The car was camouflaged, thus hiding the minute details of the aerodynamics of the exterior. It is pertinent to mention here that it’s the Indian spec model and therefore could not be related to the specifications of the models in other countries. 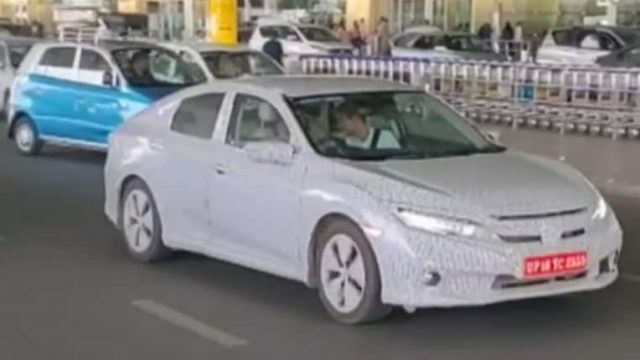 However, the images of the spied Honda Civic 2019 reveal that the upcoming facelift model stands out from decade-old conventional sedans of Honda. 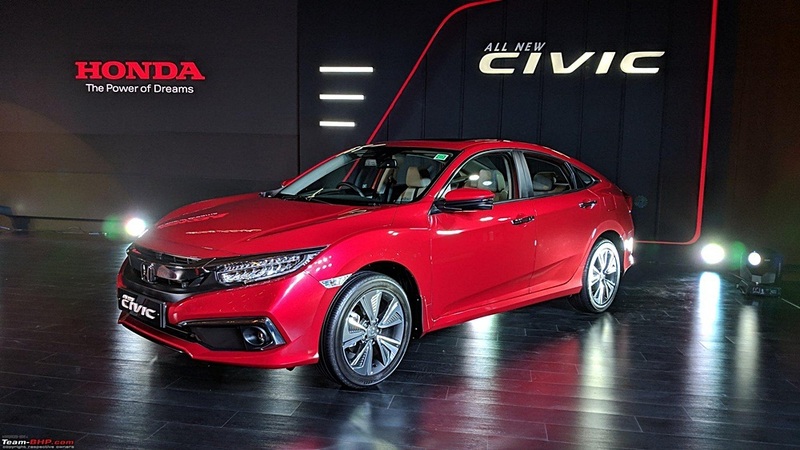 Although, the outlook of the sedan remains quite similar but gives you a refreshing look from the inside. 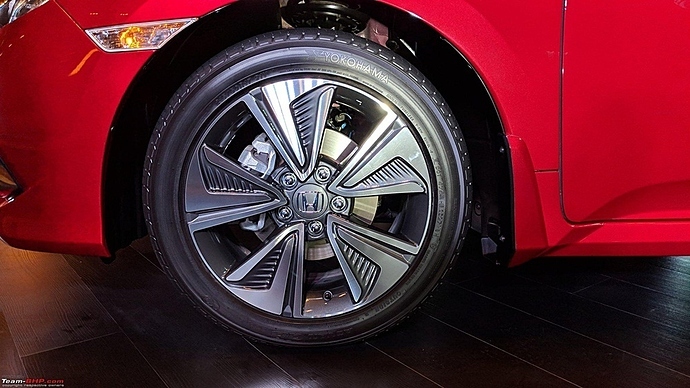 The Honda Civic 2019 has angular front bumpers accompanied by the chrome elements for the fog lamp housings. The facelift model seems more like a 4-door fastback has a large-sized chrome grille extending to a set of LED headlamps on either side. 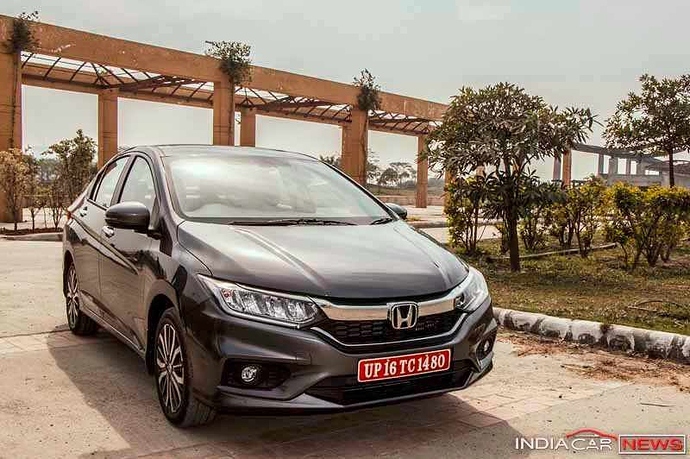 The headlamps are equipped with daytime running LED lights which remains more of a typical designing of Honda. 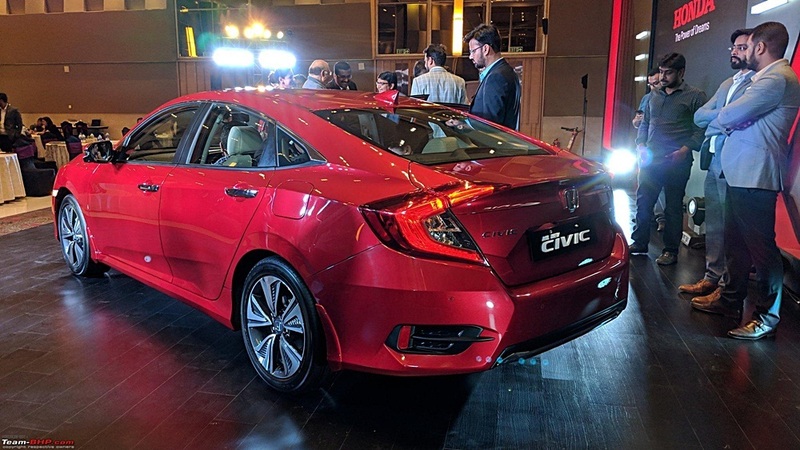 The rear end of the sedan is equipped with long and slim LED tail lamps that run across most of the part of the boot with a chrome strip as seen in the previous version of Civic as well. The refreshed version of Civic also features a brand new 17-inch alloy wheel design with a split 5-spoke pattern. 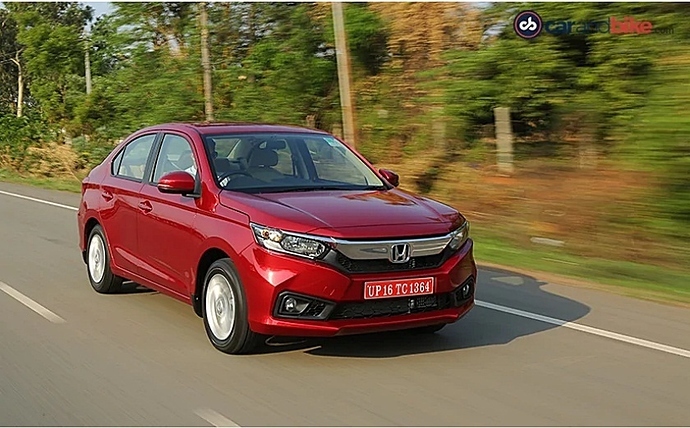 Inside the cabin, Honda has provided a brand new 7.0-inch touchscreen infotainment system which adds more elegance to the stunning looks of the interior. 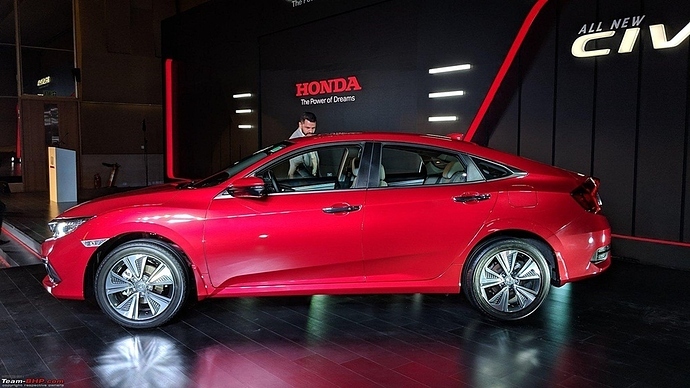 The infotainment system will feature ‘Apple CarPlay’ and ‘Android Auto’ compatibility with a built-in navigation system to enable the users to easily connect their devices and mirror features from them. Under the hood, there will be a 1.8-litre petrol engine which will produce 140hp under an automatic or 6-speed manual transmission. 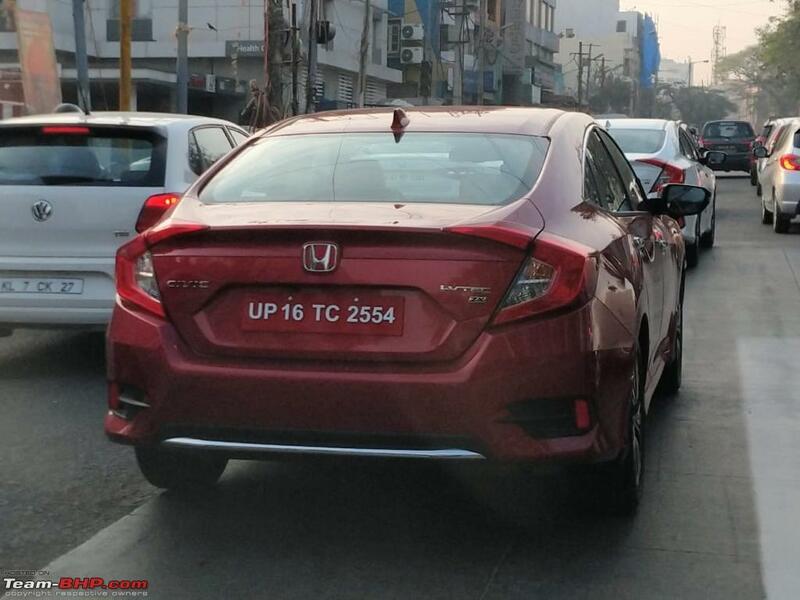 There are good amount of chances that Honda will offer the new Honda Civic 2019 with a 1.6-litre diesel engine producing 120hp. 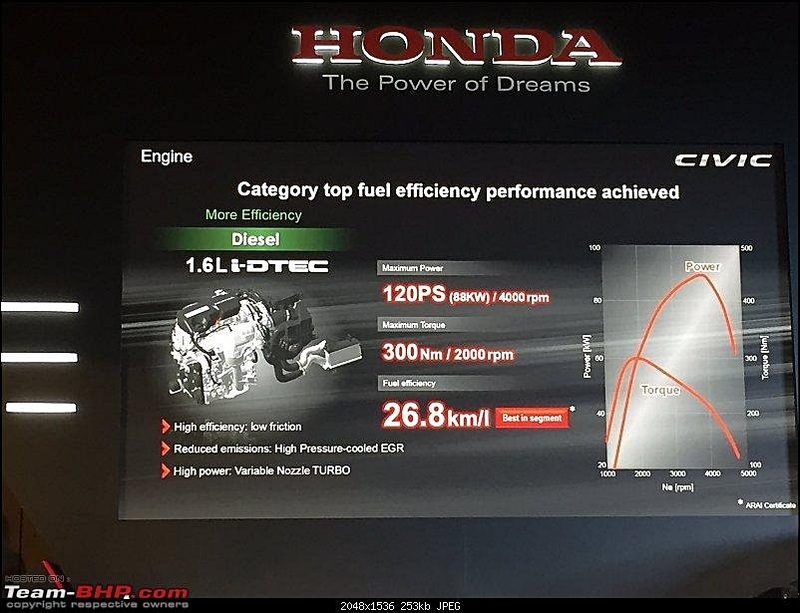 This will be the same engine as used by Honda recently in their CR-V. 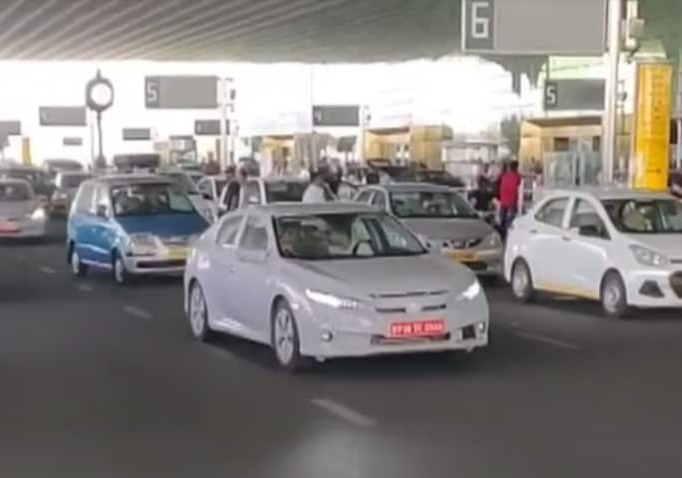 In the Indian automobile market, the upcoming sedan will be competing against Hyundai Elantra facelift, Toyota Corolla and Skoda Octavia which makes an interesting segment of cars in the line-up. The expected (ex-showroom) price of Honda Civic 2019 will be set somewhere in between INR 1.5-2 million. There is a fair chance of Honda launching this particular facelift model of Honda Civic 2019 in Pakistan next year but no official announcement has been made so far in this regard by the manufacturer. That’s it from our side. Stay tuned to Pakwheels for more updates. Drop your thoughts in the comments section below. Civic is returning to the indian market on March 08, 2019 and as a fan posting the first sighting of an IDM Civic without any camouflage and factory plates. The new Honda Civic will be offered with a petrol engine – and unlike the last time around, will also have a diesel motor on offer. 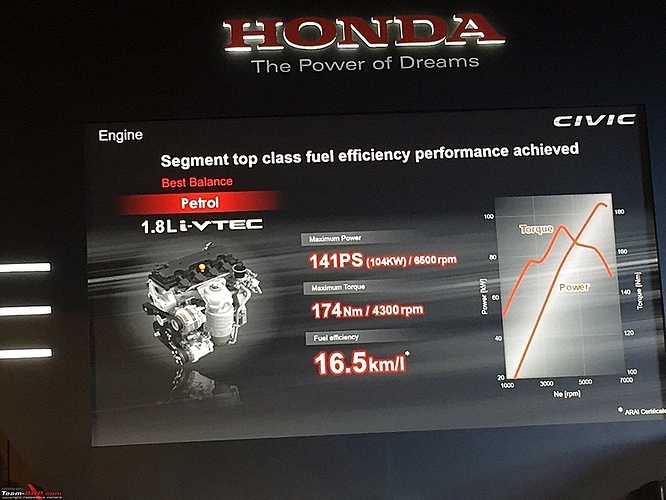 The petrol engine will be a 1.8-litre motor mated to either a 6-speed manual or CVT automatic gearbox. The petrol engine will make about 140hp. The diesel engine on the other hand will be the same 1.6-litre, four-cylinder turbocharged unit that will make 120hp. The diesel engine, in all likelihood, will come with a manual gearbox option only and could miss out an automatic gearbox. Honda sold 7981 Amaze cars in india in Jan2019 bringing the total sales of this model to crossing 70,000 cars since launch in May 2018. Sensible pricing is the key to a product's success and this is an example. 2019 Honda India Civic unveiled in Bangalore 12Feb, 2019. Official nationwide launch March 08, 2019. Pics from event below. 1.8 Petrol CVT and 1.6 Diesel MT. Only One Variant (Top Spec) on offer.